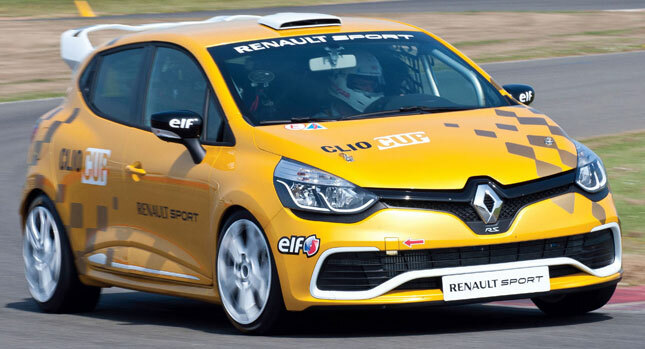 Renaultsport has revealed the all-new Clio Cup race car which replaces the previous model in use since 2006. 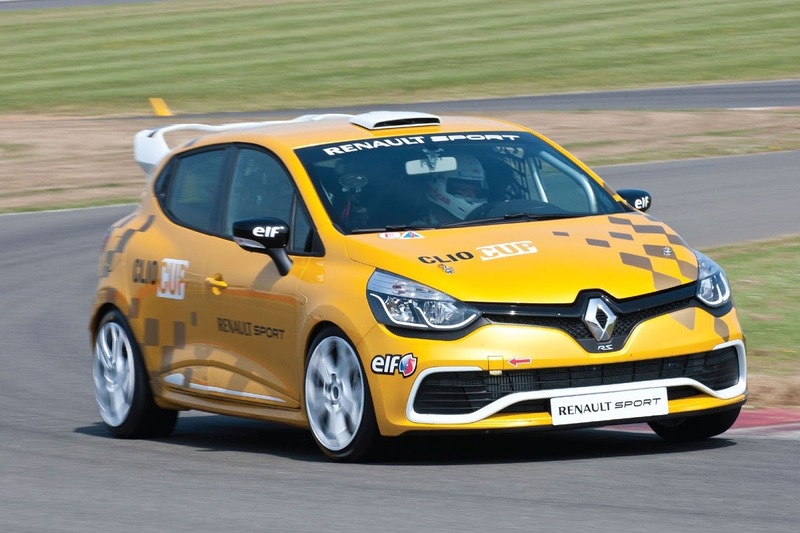 Based on the latest gen Clio Renaultsport 200 Turbo EDC, the Clio Cup comes with a welded roll cage, a strong monocoque chassis and an aerodynamic package that helps it handle better at high speeds. 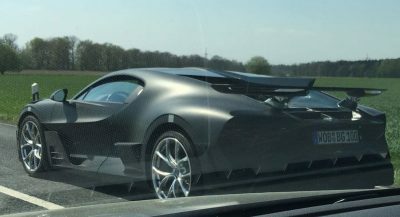 For instance, the new rear spoiler generates nearly 40 kg (88 lbs) at 120 mph (193 km/h), while the roof scoop helps improve ventilation in the driver compartment. 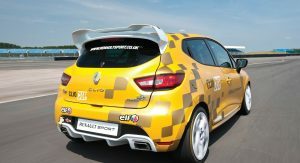 For the first time in Clio Cup’s history, the rollcage is welded not bolted, with Renaultsport saying this provides additional strength and, consequently, better handling on corners. The new Clio Cup is powered by a 1.6-liter direct-injected turbo engine tuned by Oreca Magny-Cours that produces 220 hp and a constant torque of 270 Nm (199 lb-ft). 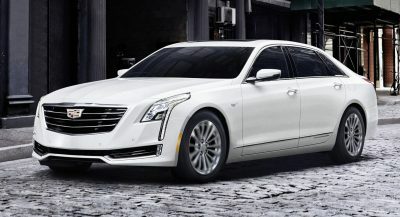 The unit is mated to a Sadev six-speed sequential transmission that shifts gears in just 100 milliseconds. Renaultsport offers steering-wheel paddle shifters as an option, along with the classic gearstick. 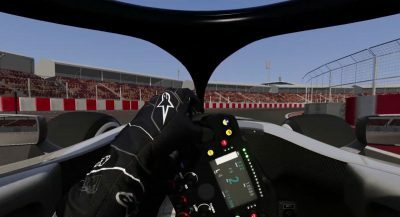 The car features adjustable shock absorbers and adjustable axles, allowing teams to set up the car according to different track conditions and driving styles. Braking power is assured by AP Racing 320mm ventilated discs fitted with 4-piston Brembo callipers at the front and 260mm solid discs at the rear. On the inside, the Clio Cup features a dashboard designed by Cosworth Electronics, with a color display screen showing all the diagnostics in real time as well as essential data for the driver, such as fastest lap, gap, track layout and others. 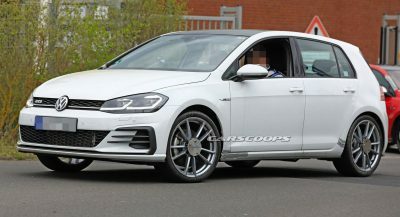 There’s also a multi-functional steering wheel with seven buttons that operate a wide variety of functions, including headlights, windscreen wipers and the display screen scroll. 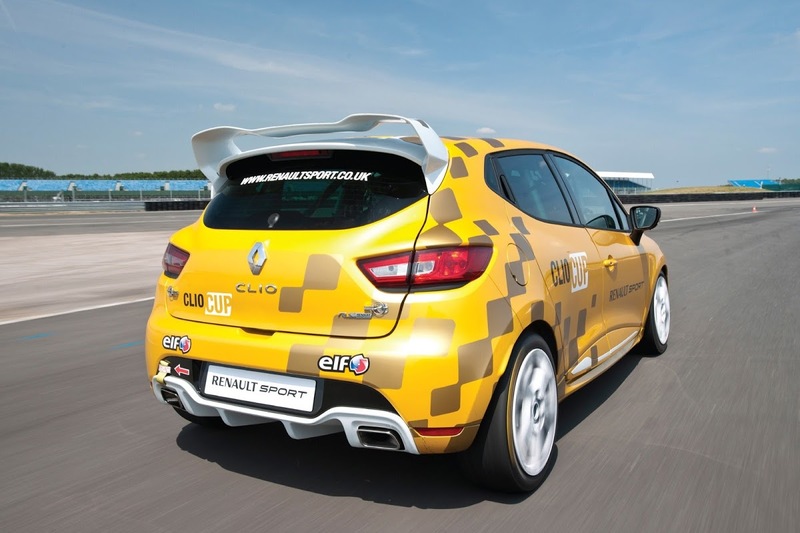 The new Clio Cup is built at the Renault‘s Alpine factory in Dieppe and is delivered ready to race.